With this cautionary tale in mind, and recognizing that for a closed-minded minority of techno-utopians Neil Postman was a reactionary and a Luddite, a relic of a literate age nostalgic for a simpler time, I never the less wish to report about Lance Strate’s Amazing Ourselves to Death: Neil Postman’s Brave New World Revisited: It’s time for this message. Like Postman, Lance Strate understands that while the medium may be the message, some messages transcend media, defy media,and resist reduction to mere afterthought. Postman’s (1984) critique of the American television culture of nearly thirty years ago was such a message; Strate’s reconsideration and updating of that critique is not a new message, but constitutes, rather, a continuation of Postman’s message in Amusing Ourselves to Death (AOTD). After finishing the book I sat quietly and thoughtfully trying to think of a couple of appropriate adjectives to sum up my initial reaction to it. (Adjectives, I’ve come to believe, are the heart of any critical review, and the wrong adjective can take what was intended to be a glowing review and make it tepid and half-hearted; by the same token, a carelessly chosen adjective can make what was intended to be an incisive and critical review appear to the reader little more than an exercise in puffery.) The first descriptive word that came into my head was “important,” but to that closed-minded minority I mentioned above this word will appear to be a very subjective judgment. Another adjective that came to mind was “authoritative.” Again I corrected myself, remembering that we’re living in an age where the concept of authority has been rendered impotent by a media ecology that places subjective, personal opinion on an equal level (at the very least) with what was once called “expert opinion” – the informed opinion of someone who has systematically studied, in a disciplined way, with the use of empirical methods, some phenomenon or group of phenomena in the physical, natural, biological or social sciences. I finally settled on a descriptor that I believe is unquestionably true and, therefore, unquestionably objective: mature. 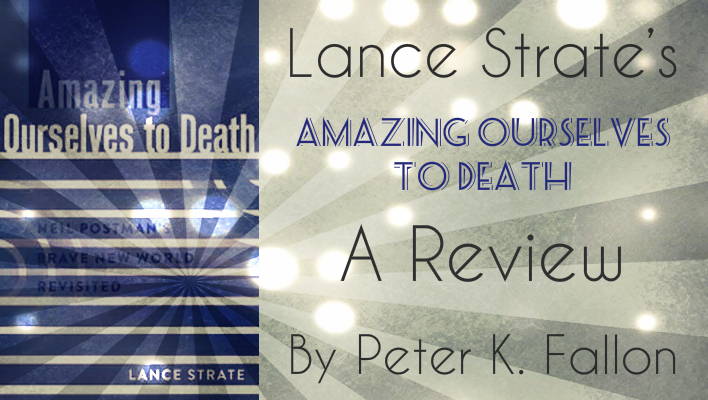 Lance Strate’s Amazing Ourselves to Death is a mature reconsideration of an important media theorist and cultural critic and what is perhaps his best-known book. It is also a mature consideration – one of the most mature, well-rounded, and unbiased I have read – of our current culture of amusement and diversion. Strate is neither cynical nor naïve in his attention to Postman’s observations or the culture that was the subject of those observations. He succumbs neither to nostalgia nor apologetics, but carefully and objectively delivers a point-by-point reappraisal of Postman’s argument and the evidence with which he supported it. 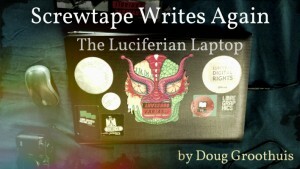 He also provides contemporary evidence, where appropriate, to illustrate the continuing relevance of AOTD to today’s media ecology. It is precisely this kind of intellectual maturity that makes Strate’s book both an essential companion to AOTD as well as an important piece of scholarship in its own right. In many ways, this book is both an echo of Neil Postman and a reflection of his legacy. 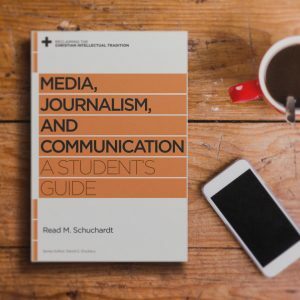 It is organized in two sections; the first serves as “echo,” a recap, a primer on the life, work, and legacy of Neil Postman. The second is a reflection, a deeply thoughtful interpretation and reconsideration, within the context of a complex digital culture, of Postman’s original critique of television culture. The first part of the book is comprised of four chapters: the first restates Postman’s original argument that “what we love will ruin us” (p. viii), that we are drowning in a “sea of amusements” (p. 156), our “serious discourse [dissolving] into giggles” (ibid. ), our culture being “drained by laughter” (ibid. ); the second is a biographical sketch of Postman himself which provides a useful and interesting context within which to situate his work and thoughts; the third considers media ecology as both meta-discipline and method; and the fourth surveys the changing technological (and intellectual, emotional, and spiritual) terrain leading up AOTD as well as that of the (nearly) three decades since its publication. In the final chapter of the book, Strate contrasts Marshall McLuhan’s view of understanding media with that of Neil Postman. Edgar Allen Poe’s “Descent Into the Maelstrom” was McLuhan’s guiding metaphor for navigating the treacherous waters of technological change. I’ve had many discussions and even arguments, some quite heated, with colleagues and scholars who insist I am misinterpreting McLuhan (and ignoring his Catholicism) in taking issue with his stance. But it was McLuhan (1997) himself who once said “A moral point of view too often substitutes for understanding in technical matters” (p. 66) and I take him at his word. The old sailor who survives the maelstrom by becoming one with its awesome and destructive flow does so at the expense of the lives of his brothers; he took no risks for them and saved himself instead. Strate, however, proposes Shakespeare’s “The Tempest” as a suitable metaphor within which to understand Postman’s approach to understanding media. Young, naïve Miranda, witnessing the results of her Prospero’s sorcery as storm-tossed sailors are thrown aground on her shore, is both amazed and amused by the spectacle of the first foreigners she’s ever seen. “O brave new world,” she says, breathlessly, “that has such people in’t.” These same words are uttered by John the savage in Huxley’s Brave New World in learning that he would leave his reservation and live in the World State he’d heard of in legend. The dystopic reality he finds, however, is too much for him and he kills himself. Postman’s approach is to reject the responses of both Miranda and John, to be neither enthralled nor distraught by change, to neither serve technology nor recoil in fear of it. Instead, as Strate tells us, “Postman advocated respectful engagement, open dialogue, and being a loving resistance fighter” (p. 137). Understanding media, technology, and technological change, to Postman, is no different from understanding any aspect of human culture and the human experience: we create it; it does not thereafter shape us in its likeness. Our human intelligence, whether one sees it as evolved or a gift of Divine Providence, has provided us with the therapeutic intervention that serves as antidote to our animal nature: language. And our language allows us to both reason and feel, to make judgments and to empathize. Our literacy is the key to our critical faculties, to understanding that it is we who are agents of change or of stasis, we who are responsible for creating the world we live in, we who construct the realities in which we reside. It’s time for this message. McLuhan, M. (1997). Forward Through the Rearview Mirror: Reflections on and by Marshall McLuhan. Cambridge, MA: MIT Press. Postman, N. (1985). Amusing Ourselves to Death: Public Discourse in the Age of Show Business. New York: Penguin. Strate, L. (2014). Amazing Ourselves to Death: Neil Postman’s Brave New World Revisited. New York: Peter Lang. You are so cool! I do noot suppose I havee read through something like that before. I’m sorry I’m so late to the party. There are several comments in the last two paragraphs of this which might benefit from some agitation. I’m fine with Strate’s appraisal of Postman. But: first, I’m not sure it is fair to describe Poe’s maelstrom as THE guiding metaphor for McLuhan, not only because he had so many others from Chesterton, Joyce, Lewis, and others. Second, I also don’t believe the old sailor survived by ‘becoming one with its . . .flow’, but rather by not panicking, and then observing the details of the pattern with detachment, noting that some items were more buoyant than others. The moral slight of ‘risking nothing’ for others seems a low and literal blow over a mere metaphor for understanding. Third, Postman was a ‘loving resistance fighter’ without a doubt; and it is undoubtably unreasonable to expect McLuhan to be so gentle after his experience of Nashe, Chesterton, Swift, Lewis, and Joyce. Add his Catholicism, and we would expect him to be more like Christ and the money changers outside his Father’s house, upsetting tables and applecarts, disrupting complacency rather than tip-toeing around it with ‘loving resistance’- just as McLuhan did with advertising in The Mechanical Bride and Culture Is Our Business. Fourth, the statement (Postman’s?) “it does not thereafter shape us in its likeness” is just wrong; it denies all the loops of consciousness between percept and concept in the present ground of the media in use. Yes, language will be a great part of our salvation, if we have one. But the appeal to literacy suggests a gated, elite community of greying elders, excluding the many illiterate, now even among the ‘educated’. If language shall save us, it will be with a new eloquence carrying tradition (including the best of literacy in new forms), without the narrowing and deadening aspects of ‘mere’ literacy: figures without ground, ceaseless fragmentation, and irrational scientific bias. Separating literacy’s (or indeed any medium’s) wheat from its chaff sounds like a job for a media ecologist, or a satirist and a scholar. Postman was the former; McLuhan was the latter.